South African design is as diverse as it is stunning. There are so many different designers, architects and experts, who all bring a unique touch to what a home should look like as well as how its functionality should work. Today, we are going to be exploring South African bedrooms—a real treat! We all know how important our bedrooms are, allowing us a quiet space where we can rest and recover from the day or spend some time reading our books. Most importantly, it's where we get a good night's sleep! 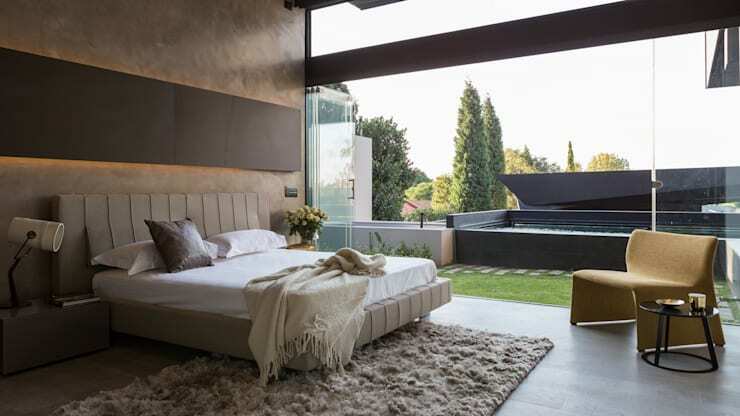 This is why today at homify, we are going to explore 8 perfect South African bedrooms. These will remind you just how important it is to have a bedroom that is as attractive as it is comfortable! Wood adds warmth and charm to any environment. For the bedroom, it can warm the cockles of your heart! 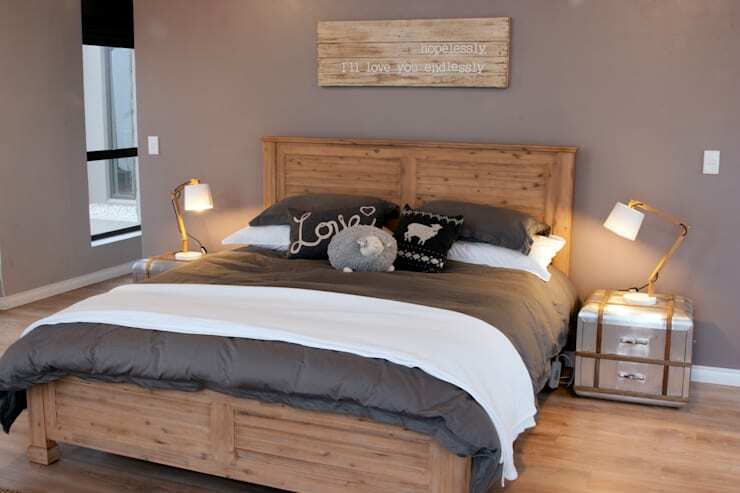 In this design by Urban Habitat Architects, we can see how the wooden base adds a very unique touch to the home, introducing a country-style accent to the modern bedroom. Paired with soft lighting and the neutral tones, this bedroom is simply flawless. If you're a more creative soul, opt for an eclectic mix of colours, patterns and accessories. Add some bright tones, funky objects and items that speak to your personality. Another great option is to opt for shelves, where you can keep all of your trendy items on display, without taking up too much space. A headboard can help finish the bedroom off, creating the perfect touch! It also adds some detail and design to the bedroom. If your room is small a headboard can become the focal point. Have a look at these 38 of the most original bed headboards ever. Your bathroom doesn't have to be closed off from the rest of the home. In fact, why not allow it to work in harmony with the nature that surrounds the home? In this image, we can see how large glass doors slide open, allowing the home to integrate with the garden. This is very refreshing, stylish and beautiful! Imagine waking up to this everyday! 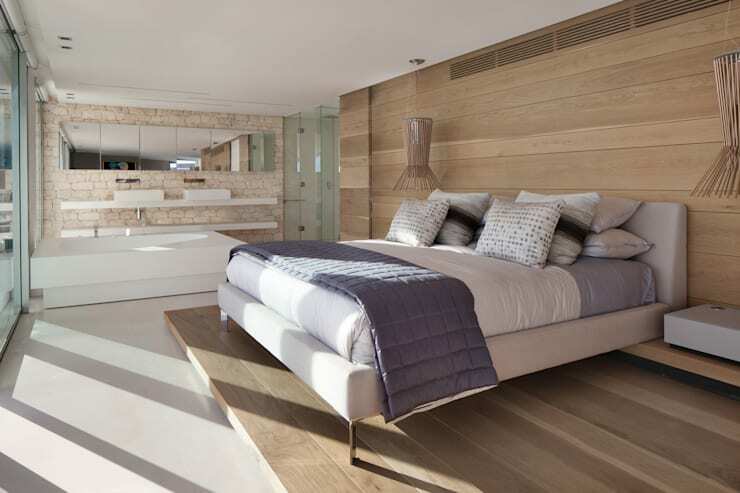 If you want to go for an open plan bedroom, but need to demarcate spaces, why not opt for a raised platform for your bed? This way you can clearly distinguish the bed area from the rest of the room, without interrupting the flow of the space. In this example, we can also see how the wooden platform works in harmony with the wooden wall, creating a cosy design that envelopes you in warmth. Paint one of the walls a bright colour to introduce a bit of vibrancy to the room, without overwhelming it. Leave the other walls white to neutralise the tones. Pair the colourful wall with some patterned linen or complementary accessories. Colours can make a huge impact on the ambiance and mood of the space too. Give your bedroom a sophisticated edge by adding some funky and modern lighting to the mix. 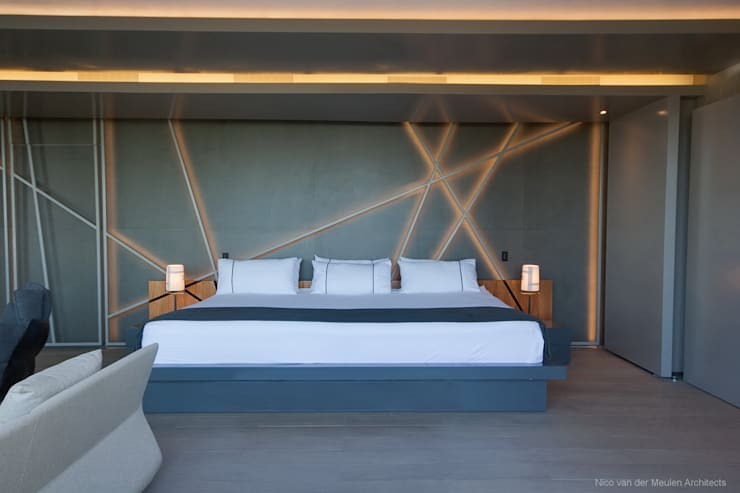 Here we can see how contemporary lighting has been installed across the walls illuminating the details of the bedroom. It can also create a wonderful ambiance throughout the space. Soft lighting makes for a very romantic room! 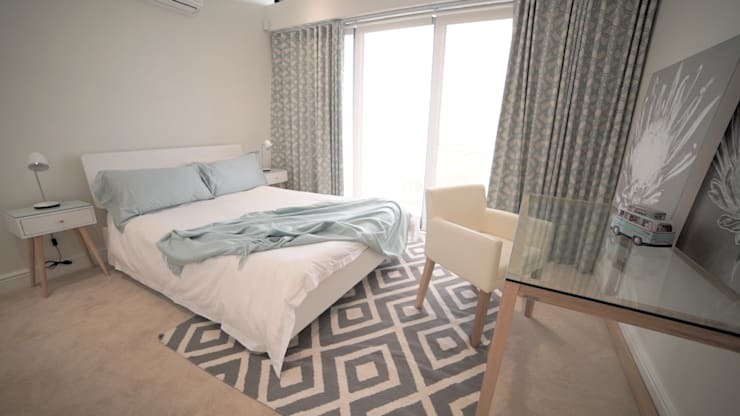 A rug can really enhance a bedroom. It can be the finishing touch for the perfect bedroom! 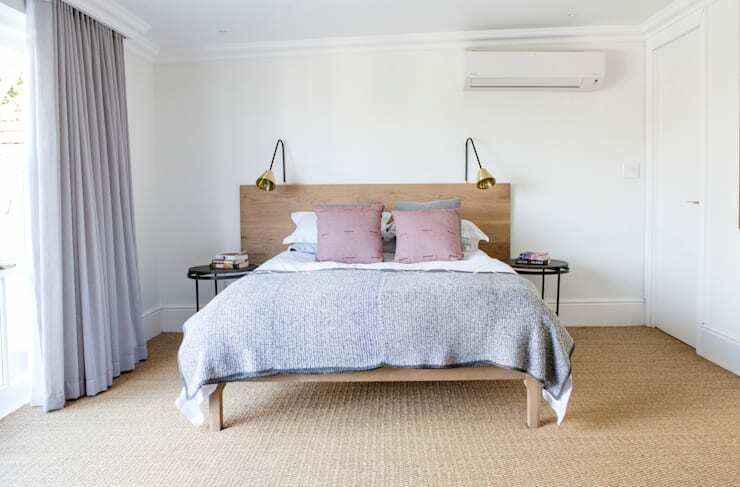 In this design, we can see how a patterned rug makes for a cosy addition to the stunning bedroom. The patterns enhance the neutral tones used throughout. If you've enjoyed these South African bedrooms, you'll love these 11 clever kitchen ideas from South African homes. Which bedroom is the most perfect for you?